Mother’s Day is nearly here, and that means it’s time to get the special mom(s) in your life a vegan Mother’s Day gift. From pillows that help save animals to T-shirts that make a bold statement, these Mother’s Day gift ideas are a great way to show your appreciation. Mother’s Day is also the perfect occasion to stand up for animals, as much of factory farming is built on the exploitation of mothers and their babies. The dairy industry is especially cruel—mother cows are forced to endure a cycle of pregnancy and lactation for most of their lives, their milk given to humans instead of to their own babies, who are taken from their mothers within mere hours of birth. On Mother’s Day, compassionate people have a unique opportunity to talk about the rights of all mothers to care for their young and live happy, healthy lives. There are lots of ways to help end this cruelty and injustice: You can go vegan if you haven’t already, sign up to become a Hen Hero, and support Mercy For Animals’ work to protect animals abused for food. Many of these vegan Mother’s Day gifts also help animals—and will make mom feel loved too! ChooseVeg meal planner ($2 per week) gives mom on-demand help from food coaches, meal-planning services, personalized daily recipes, and grocery delivery in select areas. Basically, for very little cost you can give mom a personal plant-based nutrition plan and coach. That’s a pretty amazing gift! Who better than a mom to wear this shirt from HappyHeadTees ($13.99) and prompt a conversation about where milk actually comes from? How cute are these baby animal pillows ($42)? Even better, all the proceeds go to MFA. My MFA co-workers can’t stop raving about air fryers, which let you fry, bake, grill, and roast food with little or no oil. The KRUPS air fryer ($96) makes a great gift for any busy mom who likes her french fries healthy. Celebrate every mother’s love with MFA’s motherhood-themed brooch ($20). It’s a sweet reminder that the mother-child bond is not exclusive to humans—and it’s certain to make your recipient feel loved. Send Mother’s Day greetings to all the special moms in your life with this set of 20 MFA cards ($28). As always, all the proceeds go to helping animals. Let mom show her vegan mama identity with this necklace made by The Muddy Pig ($19). Moms are famous for having everything you could ever need in one bottomless bag—so why not make that bag a chic vegan leather one? Pixie Mood makes some of the highest-quality vegan leather around, and its price point is actually lower than that of many luxury vegan brands. The Alicia Soft Tote ($75) comes in just about any color mom could want. For the mom who loves to cook, MFA’s Herbs Seed Kit ($31) lets her grow sweet basil, arugula, chervil, chives, cilantro, parsley, oregano, fennel, sage, and dill anywhere from the windowsill to the garden. 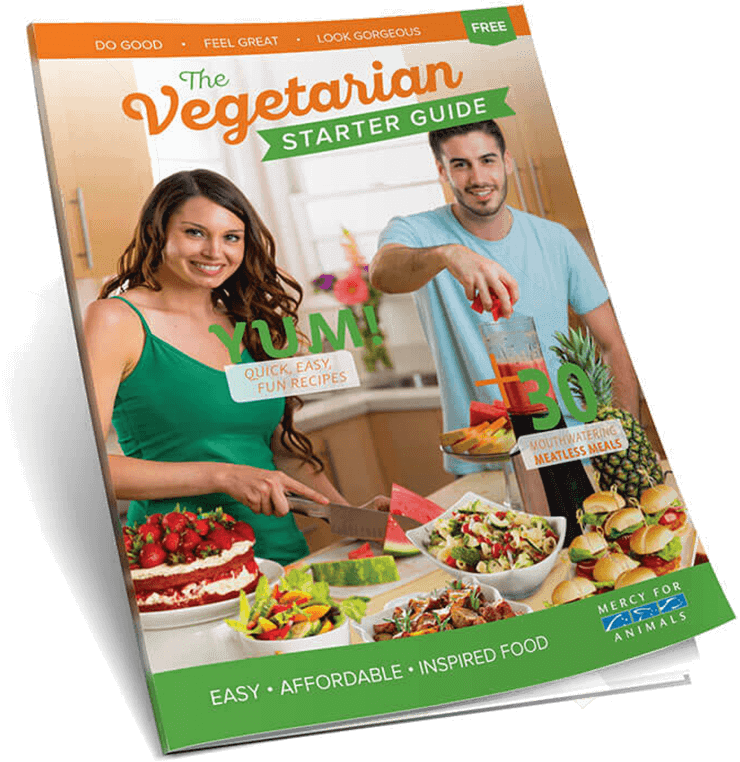 I got my mother-in-law a VegNews subscription ($20 per year) and she absolutely loves it. VegNews is an approachable and entertaining magazine that will get your mom’s vegan journey on the right track—no matter how far along she is. Another statement shirt, this Hottees tank top ($19.95) is perfect for the vegan activist mom. The How Not to Die Cookbook ($17) features the healthiest plant-based and oil-free recipes, most of which are really easy to make and all of which have health benefits backed by science. The Love Goodly subscription box ($30) is valued at over $85 and is sure to make mom feel like you’re thinking of her when it’s delivered straight to her door. Sent every other month, the box features products that are all vegan and cruelty-free, and a portion of the proceeds goes to helping animals. This Yonanas machine ($45) makes a great and healthy gift for mom. Let her turn frozen bananas and other fruit into her own homemade soft “nice” cream, no sugar or dairy added. I just ordered my mom the Veestro starter pack ($99) as a gift—and she loves it! The Veestro meal service has more than 50 healthy meals ready to heat and eat, all made with 100 percent plant-based organic ingredients. The meals will save your mom a lot of time, and she’ll think of you with every delicious bite. With a sustainably sourced rose quartz stone, MFA’s piglet necklace ($98) is a beautiful gift for the true animal lover. Because each necklace is made by hand, this makes a one-of-a-kind gesture for a truly one-of-a-kind mom.